Toast with the ghosts of Christmas past on this entertaining fact (and alcohol)-filled tour of the holiday season! Revel in little-known facts of the season’s pagan roots in Roman, Celtic, and German traditions while learning of medieval Christian and New World additions in caroling, mumming, and hanging mistletoe. Traverse Philly’s gritty historic and bar district with tales of pirates and privateers, bordellos and beer, caroling drunkards with wassail bowls of cheer. Trivia and drinking games include chances to win free drinks. Fact-packed and intensively researched, an “education” in Philly’s bawdy and tippled past never felt so much like pure entertainment. Come, revel in the ‘spirits’ of the season! Arrive at the first bar early to receive drink specials while you wait for your tour to begin. Each stop includes a drink and/or food samples, additional drink specials, and trivia and drinking games for chances to win free beer. It's a spectacular evening out with plenty of time to socialize and mingle between activities. 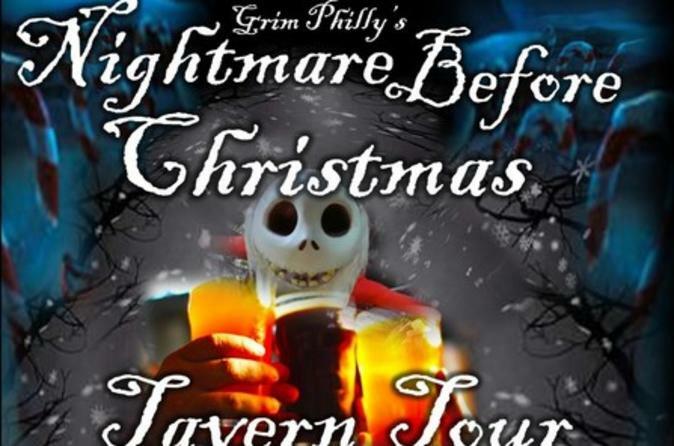 Tour includes guided historic tour of “grim” Philly and Christmas traditions, 3 tavern admissions, 3 drinks, additional giveaways and discount specials, and ample opportunity to socialize with friends old and new. Please note: Food and drink specials are available at Zento for ticket holders beginning at 5 pm before the 6 pm tour.